In 1984, California initiated a uniform regulatory program for USTs, which was implemented by over 100 local agencies. These agencies required underground storage tank owners and operators to comply with the California and federal UST regulations. The Barry Keene Underground Storage Tank Cleanup Trust Fund Act of 1989 created the California Underground Storage Tank (UST) Cleanup Fund (Fund) to help eligible owners and operators of petroleum USTs. The Fund helped these entities to meet federal and state requirements to demonstrate financial responsibility, provided financial assistance by reimbursing costs of cleanup and provided reimbursement for damages awarded to third parties who are injured by unauthorized releases of petroleum from USTs. Throughout 1995, members of the California UST Technical Advisory Committee (SB 1764) began discussions over the balance between water resource protection based and more targeted, risk-based cleanup goals for petroleum releases from underground storage tanks (USTs). This led to the June 15, 1995 letter by Randall Yim (a member of the advisory committee), recommending a tier-based system for determining when resource protection-based or human health risk-based cleanup goals are appropriate. * Do fuel hydrocarbon plumes behave in predictable ways? * What factors influence the length and mass of FHC plumes? * To what extent are fuel hydrocarbon plumes impacting California’s groundwater resources? In summary, the report asserted that the impact to human health and the environment caused by leaking underground fuel tanks was not as severe as previously thought. In addition, the report recommended that soils-only release cases should be rapidly closed due to a low risk potential. As for groundwater cases, LLNL recommended that active remediation on low-risk cases be replaced by periodic groundwater monitoring only. The LLNL also recommended that passive “natural attenuation” be the primary remediation pathway, once the source of the release has been removed. Natural attenuation occurs when subsurface geologic and oxygen conditions are appropriate in the impacted zone for subsurface microbiota to flourish and accelerate the decomposition of harmful organic compounds. In January 1996, the State Water Resources Control Board under the direction of former Executive Officer Loretta Barsamian, released an interim guidance document, titled “Interim Guidance on Required Cleanup at Low-Risk Fuel Sites“. It was in part a response to the findings of the LLNL report’s findings regarding the general characteristics and impact of underground fuel tank releases. This early low-risk guidance document laid out criteria for both “Low-Risk Soils Cases” and “Low-Risk Groundwater Cases”, based upon the findings of the LLNL study and opinions contributed by State Water Resource Control Board members and affiliates. By 1996, increasing concerns surrounding underground fuel tank releases came through the discovery of high concentrations of methyl tert-butyl ether (MTBE, a fuel oxygenate added for efficient combustion) in important drinking water supply aquifers in California. The chief example was from City of Santa Monica, which discovered that two of its drinking water wellfields, Charnock and Arcadia, were contaminated with elevated levels of MTBE. These essential water supply wellfields had detections of MTBE up to 610 parts per billion (ppb) and 86 ppb respectively. MTBE is not currently considered a carcinogen, however research continues into its mutagenic effects and it is currently considered a potential carcinogen. MTBE-impacted water imparts an unpleasant turpentine-like taste and smell at concentrations as low as 5 ppb. 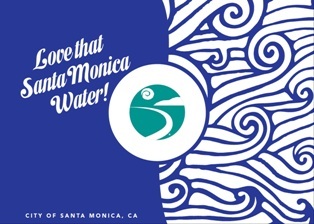 The two City of Santa Monica, California water supply fields, which constituted 50 percent of the City’s drinking water supply, were shut down and the City began importing drinking water. This event and the subsequent cleanup and litigation was the first major media and public attention paid to MTBE groundwater contamination and highlighted the need for more conservative approaches to conducting quality assessment and remediation of groundwater impacted by underground fuel tank releases. At the core of this issue was that MTBE was initially added to fuels in the late 1980s to address emissions concerns. Subsequently, California and other states banned the use of MTBE as a fuel oxygenate, and California now uses ethanol as a means to improve engine combustion efficiency. By December 22, 1998, all USTs were required to meet federal and State upgrade requirements for corrosion, spill and overfill protection, and leak detection. In accordance with Health and Safety Code section 25284, after the tank(s) at a facility were upgraded, the local agency issued the UST owner an UST upgrade certificate of compliance that was to be affixed in a conspicuous place. In addition, section 2712.3(b) of California Code of Regulations (CCR), required a tag to be displayed on the fill pipe of each upgraded UST. Due to the increasing media attention regarding the impacts of fuel releases from underground tanks stemming from the significant MTBE releases described in the previous section, it could be said that the implementation of “low risk” closure policies on a state-wide level was stalled. The high water solubility, persistence and mobility of MTBE resulted in increased attention from regulators who formerly considered fuel releases from USTs to be more limited in lateral and vertical extent. Suddenly, large groundwater supplies were effectively reduced or made non-potable due to the unpleasant odor, taste and potential health concerns from MTBE contamination. In order to address the increasing public concerns over MTBE contamination in groundwater, the Lawrence Livermore National Laboratory was again requested to complete a study. The University of California Davis conducted a study on the effects of MTBE, titled “Impacts of MTBE on California Groundwater” (published May 15, 1998). This study aimed to meta-analyze the scale, scope and long-term impacts of MTBE groundwater contamination in California. In this report, findings of the recently completed LLNL MTBE study were reviewed; in the LLNL MTBE report, from a sample of 236 leaking underground storage tanks in 24 urban counties it was estimated that 78 percent of the groundwater impacted sites were likely contaminated by MTBE. This percent is consistent with the 73 percent frequency of MTBE contamination observed at Santa Clara Valley Water District LUFT sites (Santa Clara Valley Water District, 1998b, August). Happel et al. (1998) then used the 78 percent value to estimate the existence of at least 10,000 MTBE impacted sites. The 10,000 sites number represented 78 percent of all sites with groundwater contamination in the State of California (13,278; SWRCB, 1998a, April) from all products stored in underground storage tanks, including gasoline, diesel, waste oil, aviation fuel, and solvent tanks. In contrast, 3,180 sites with detectable MTBE concentrations were identified out of the statewide 5,738 open gasoline LUFT sites which had impacted groundwater. The estimate by Happel et al. (1998), at 10,000 MTBE sites in the state, was substantially higher than the sites identified at the time, because it was calculated by computing a percentage of all leaking underground fuel tanks, not just the gasoline tanks. Nevertheless, the actual number of MTBE-impacted sites at that time, was no doubt greater than the 3,180 estimated open LUFT sites with MTBE contamination or the 3841 total sites reported at the time of that report. After January 1, 1999, fuel deliveries to a facility without the UST upgrade compliance certificate were prohibited. After the 1998 deadline had passed and facilities had complied with the requirements, there was no longer a need for the upgrade certificate. On January 1, 2003, Assembly Bill 2481 (Stats. 2002, Ch. 999) amended Health and Safety Code section 25284 to remove the requirement for upgrade certificates. Instead, Assembly Bill 2481 provided a new enforcement mechanism for local agencies to use to prohibit fuel delivery to noncompliant UST systems. Effective January 1, 2003, a local agency could prohibit fuel delivery to an UST system found to have one or more “significant violations” by affixing a red tag to the system’s fill pipe (Health & Safety Code section 25292.3, subdivision (a)). Assembly Bill 2481 required the SWRCB to adopt regulations defining significant violations (Health & Safety Code § 25292.3, subdivision (g)). Accordingly, SWRCB proposed amending section 2713 and adopting sections 2717, 2717.1, 2717.2, 2717.3, 2717.4, 2717.5 and 2717.6 in title 23 of the California Code of Regulations. As the USTCF experienced funding demands for assessment and remediation with costs far exceeding revenues, a long-term financial crisis was building and needed to be addressed. A series of meetings and memos were prepared to evaluate changes in regulatory policy in order to preserve the financial viability of the USTCF and to make case closure for UST sites more consistent throughout California. Various discussion groups and evaluations were convened by the State Water Resources Control Board (SWRCB) and the UST Cleanup Fund to address the financial shortfall of the UST Cleanup Fund, as well as the slow progress in the number of UST case closures in California. As a response to calls for regulatory and financial reform of the UST cleanup and case closure process, the SWRCB developed the Low Threat Closure Policy and presented their findings in July 2011. The LTCP was adopted by the SWRCB in Sacramento on August 17, 2012 with the goal of reducing the impediments and cost of UST case closure.